Few days back, I received Derma Sunshine Herbal Whitening Cream from Herbal India Products and I started using it the very next day. So today I am reviewing this day cream that contains many active herbal ingredients to help ensure a youthful and vital looking skin. Product Claims: Derma Sunshine Herbal Skin Whitening Cream is made from Natural Plant extracts. It helps to hide visible pores and shrinks their size gradually. It lightens skin, smoothen the skin, reduces melanin overproduction etc. This herbal skin whitening cream helps to create a flawless beautiful skin providing high permeability with Miraculous Charm. It helps to intercept Ultra Violet Rays UV A, B and C at the same time protecting your skin that’s being exposed to especially the dark spots. It helps minimize spots & noticeably brightens skin with an unimaginable glow for sure, whitens the skin and gives it a lighter shade, fights wrinkles from within and visibly smoothens the skin. Milk Proteins, Aloe Vera, Grape extract, Lemon extract, Kumkum, Turmeric, Kojic Acid (Rice), Vitamin E, SPF 50. Recommended Use: Apply little amount of cream on cleaned face and neck every morning. Derma Sunshine Herbal Whitening Cream is packaged in a transparent clear tub pack with a sticker on it having the product name on it. 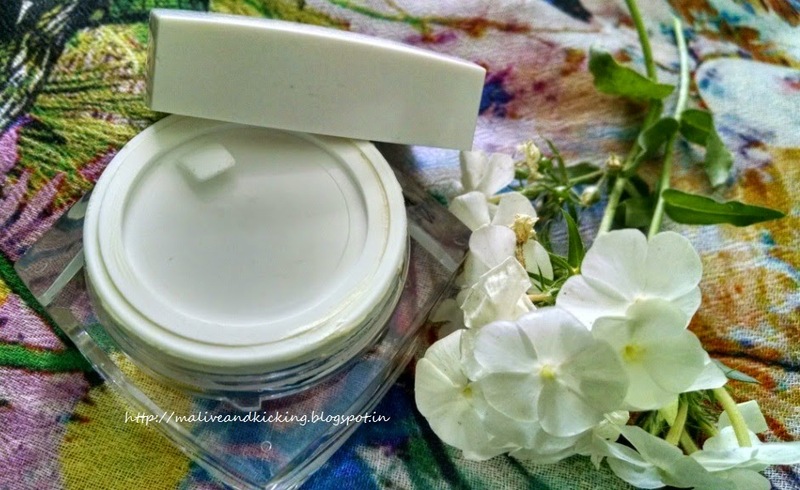 The plastic jar has an inner white container that won't let you see the cream from outside. The tub has a tight screw cap on the top and an inner white disc cap to keep the content safe in the packing. The screw cap gets properly locked in slight twist only. 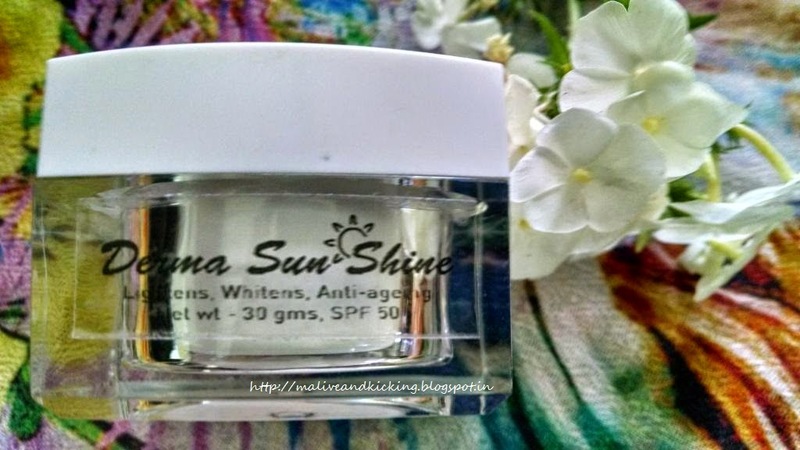 Derma Sunshine Herbal Whitening Cream is a pale peach colored cream. The consistency is not that thick as of Derma Green or Derma Green Plus creams which I used and reviewed earlier. 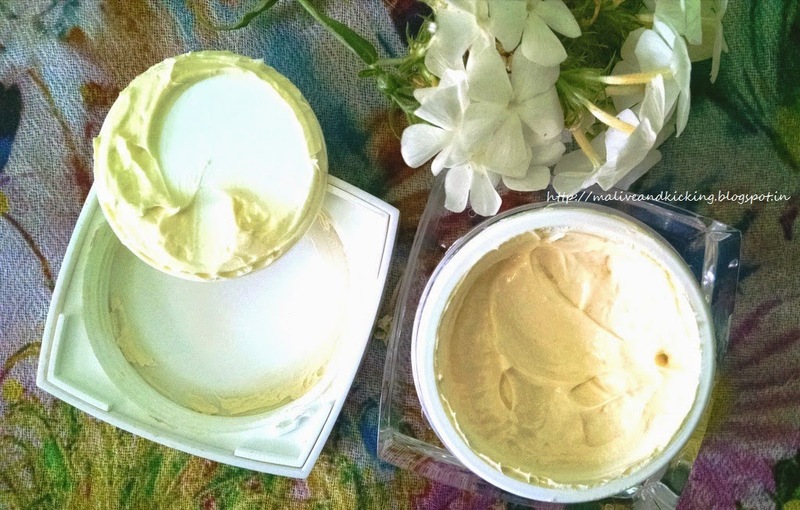 Infact I appreciate this change in the cream because I am more comfortable now taking out the cream from the container and then blend it with much ease. The cream smells slightly strong on spicy notes but doesn't trouble me. I may rather describe it as actual 'herbal' kinda fragrance. I always take care to apply any day cream in correct manner to realize its full benefit, so I did with this cream too. I wash my face thoroughly to remove dirt, oil or makeup and make sure it is properly clean before I begin the application otherwise these can prohibit desired results. Then I take out a small amount of cream which is not as less as to cover my face and neck, and not too much to absorb fully into the skin. To ensure even application all over the facial area, I gently dot the cream on face and extend it till the neckline. 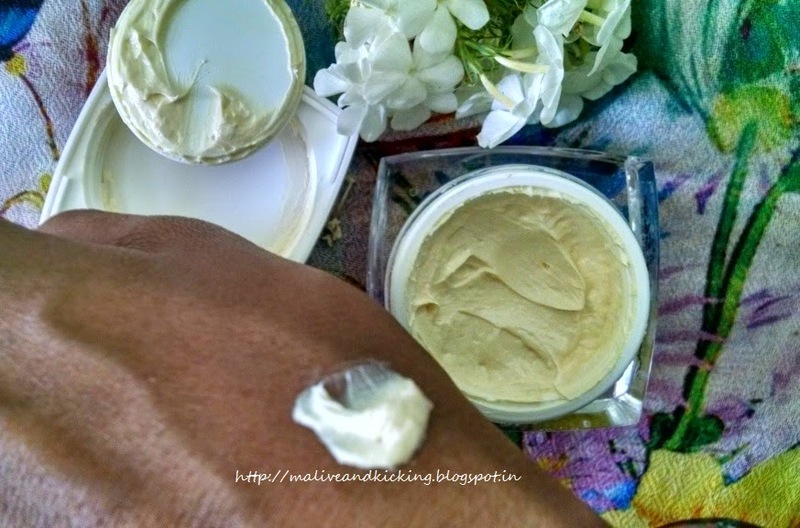 Lastly, I tap the areas dotted by cream with a light gentle motion to help the day cream penetrate the skin. 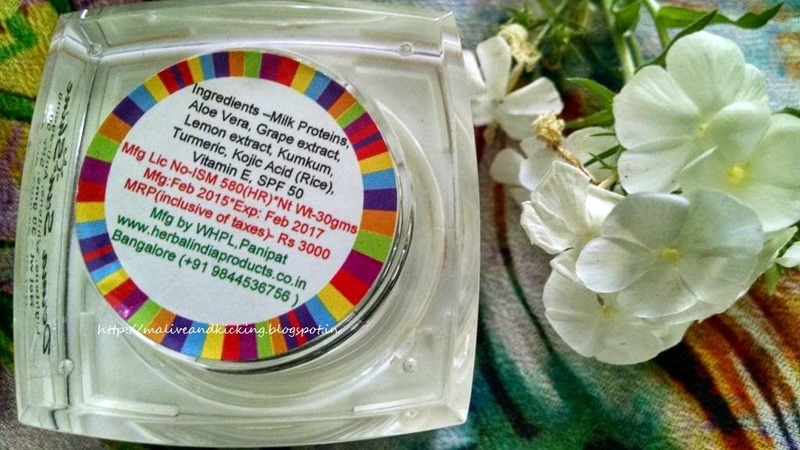 The ingredients like Lemon Extract definitely contribute in skin lightening, though it should not be expected as an overnight miracle. I appreciate the SPF 50 added in the formulation that blocks an estimated 98% of UVB rays and provide strong sunburn protection even to people who are most sensitive to sunburn.This cream can definitely eliminate the need of a sunscreen separately. Derma Sunshine Herbal Whitening Cream fulfills its promise to impart glow to skin all the day long, retains hydration in the skin and reduces dark spots to great extent. I love products which does what it says. This is good but heavy on pocket. looks a good product, though little expensive.